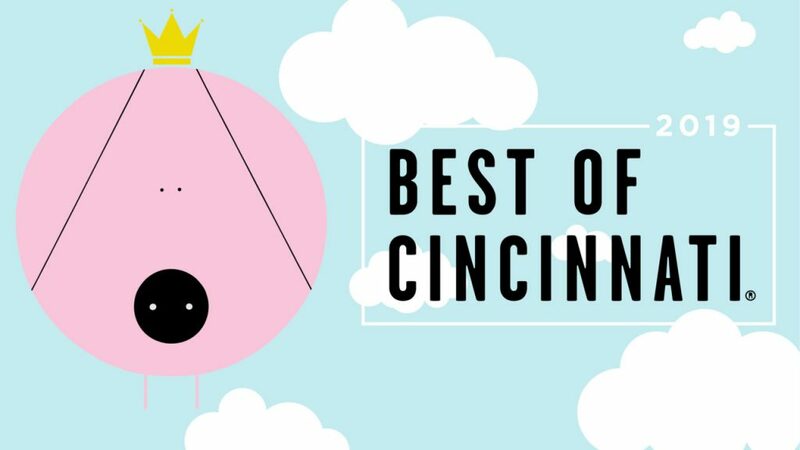 ArtWorks Mural Tours are officially Cincinnati’s Best Local Tour according to CityBeat readers. ArtWorks Mural Tours explore the monumental murals in 3 neighborhoods. The central business district, Over-the-Rhine, and Pendleton. The tours have been a summer staple for the organization since they began. ArtWorks tours are led by volunteers or Youth Apprentices, who have firsthand experience working on the murals. The guides educate participants on the history of the murals, the mural making process, and offer personal anecdotes about the projects. ArtWorks mural tours are the only mural tour offering this personal touch. Each tour is 90 minutes and around one mile long. The three different tours highlight different areas of Downtown Cincinnati. The Soul of Downtown route features murals in the Central Business District, highlights include Fresh Harvest, Cincinnati Toy Heritage, and Fiona and Bibi at the Cincinnati Zoo. 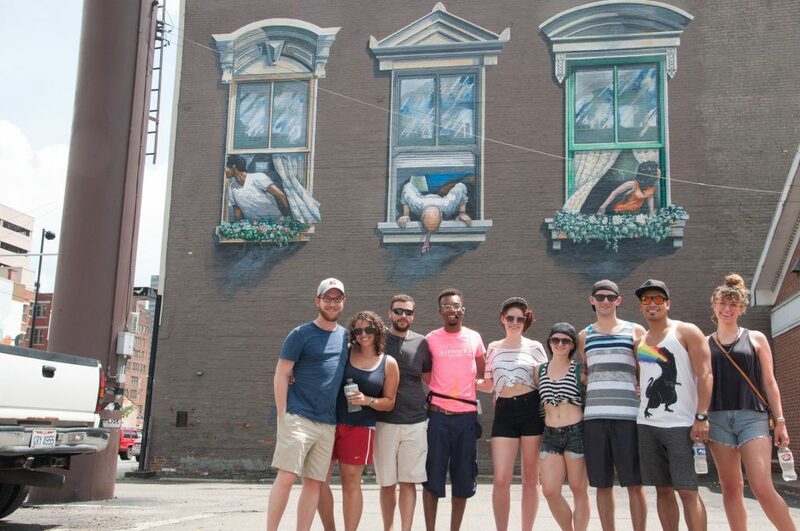 The Spirit of Over-the-Rhine route explores the streets of OTR and is a sellout nearly every weekend it is offered. Murals include, Canal at Vine Street, The Golden Muse, and Faces of Homelessness. A new route for 2019 focuses on Pendleton. The Heart of Pendleton tour highlights ArtWorks many new, and old, murals in the neighborhood. Murals include, New Lines Phase II: Bolivar Alley, Dreaming Blues, and Democracy. Tours being May 2nd and run on Saturdays and Sundays until October 2019. Tickets cost $20 – $100. See ArtWorks Mural Tour page.